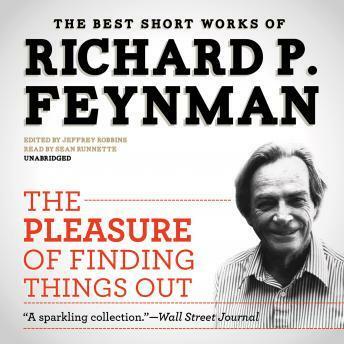 The Pleasure of Finding Things Out is a magnificent treasury of the best short works of Richard P. Feynman, from interviews and speeches to lectures and printed articles. A sweeping, wide-ranging collection, it presents an intimate and fascinating view of a life in science-a life like no other. From his ruminations on science in our culture to his Nobel Prize acceptance speech, this book will delight anyone interested in the world of ideas. Very personable narrative with good insights into the advanced scientific culture. It's nice to humanize amazing scientists such as Feynman. It breathes life and complexity into the scientific world, when it is often thought as a bunch of nerds with chalkboards and equations. Great stories of an amazing man and a good narrator. However there were many overlapping and repeated anecdotes.